Towing services should never be taken for granted, and with so many different drivers and vehicles on the road these days, you have to always be prepared. 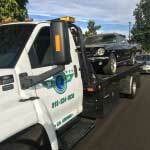 A great towing company is one that can handle any job while taking great care with each client’s vehicle. In the end, you trust your towing company with something you hold very close to your heart – and you should, cars are expensive and are usually life-related investments. Los Angeles always has people guessing what the next new car fad will be. Image is such a large component to the entertainment industry and the vehicles certainly reflect that. We routinely deal with high-end luxury cars, but that doesn’t mean a Sedan isn’t good enough for our standards.  We don’t discriminate when it comes to service, and our experienced and trustworthy staff members are at your disposal 24hr a day year round and are here to make sure you and your car are safe and sound. 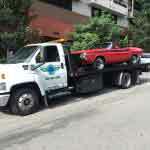 When you hire us, you are going to get great services at even better prices, and the versatility of our towing services could be considered world-class. We have winching tools to pull people out of ditches and / or any mud tracks they might be stuck in, and we also have flatbeds and heavy-duty towing equipment for those larger vehicles (or pieces of equipment). No matter what the problem happens to be, we’re going to be able to fix it accordingly. Check out our credentials. You wouldn’t trust your child with a caregiver that isn’t certified, and the same should apply for any towing company you’re going to trust with your car. Your car is after all one of your most valuable possessions, it gets you to and from work and helps you handle daily tasks as if they were nothing. Treat your car with respect and you’re going to see the difference, the last thing anybody needs is tow-inflicted damage on one of their cars. 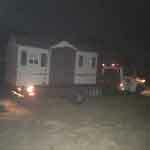 We are licensed, insured and bonded professionals that have been in the industry for a decade. Our work ethic is one of the strongest you will find, and has been key to our long term success. We rose to the top because of our meticulous work and our top-notch customer service. 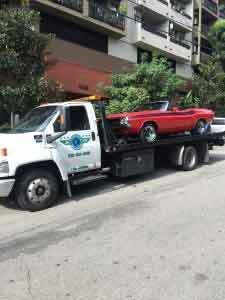 We are considered the best towing service available in Los Angeles and are an affordable, professional and fully insured tow company, with the best prices in town. Call us today!